Getting your next piece of equipment might be more affordable than you think! 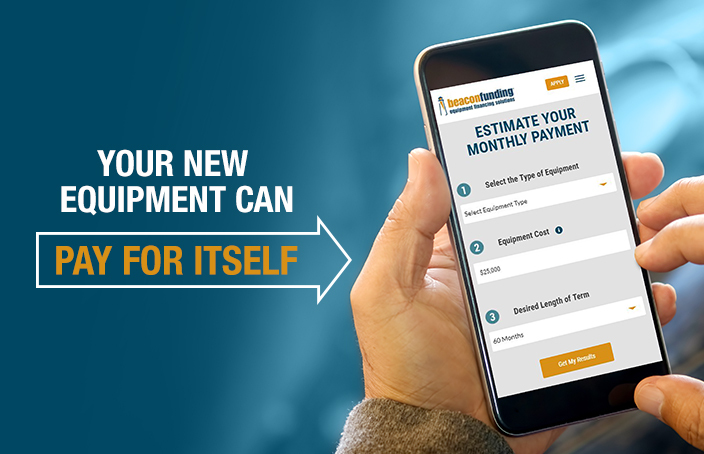 Use Beacon Funding’s free equipment financing calculator to see how low your monthly payment estimate could be. Fill out this short form to get started on calculating your payment. We don't need to tell you how much our customers love us. Check out these testimonials to see how easy it is to work with Beacon Funding. "My Beacon consultant is always on point. He is always willing to go the extra mile. He returns calls on time and help with keeping me in the know." "My consultant went above and beyond his responsibilities keeping the communications open between myself and the seller." 2019 © Beacon Funding Corporation. All Rights Reserved.